This article was sponsored by Natrol. All opinions are my own. Ahhhhhhhhhhhhh. Just the sound of that word makes me want to take a deep breath and slip into a warm bath. How about you? Today I want to talk to you about how I’ve learned how to relax my nervous system after 10 years of struggling with chronic health issues. I’ve learned a few tricks along the way, which will be in my next book, but I want to start sharing them with you here so that you can get a head start and get your body working for you, not against you. And p.s. 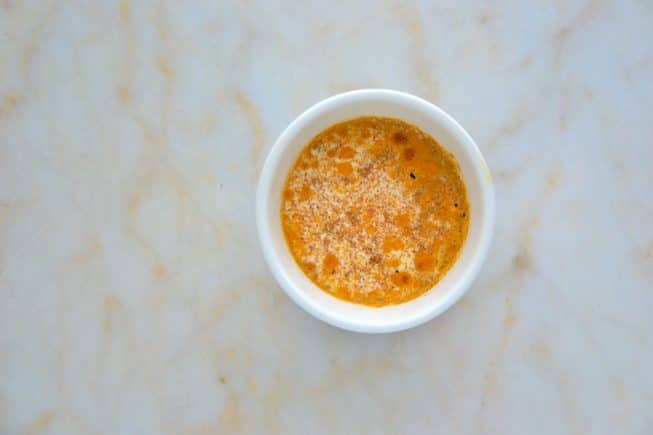 I’ve got a fabulous turmeric latte recipe for you, too that’s naturally free of gluten, dairy and soy. You’re going to love it! First up, I’m chatting about my love for a supplement that I took for many years that was prescribed by my Functional and Integrative M.D.’s. Enter 5-HTP, a 100% drug-free way to promote a calm and relaxed mood by enabling the body’s synthesis of Serotonin, the little messenger that helps enhance your mood. Now, I’ve had numerous ups and downs with my health. More downs than ups in the last 10 years as many of you know (and if you don’t know, you can read these posts to get a little sneak peak into my story of healing): New Beginnings: My Year of Thriving, The Year of Healing: The Breakthrough That Changed Everything, How I Learned to Thrive and Heal from Chronic Illness to Vitality and Starting Over: My Story of Re-Entering the World. As many of you know, I went through 5 years of taking over 50 supplements every single day. I have no idea how I did it. There were times when I thought I was loosing my mind but now that I’m past that stage of my life, I know what supplements I can trust and what brands I can stand by. 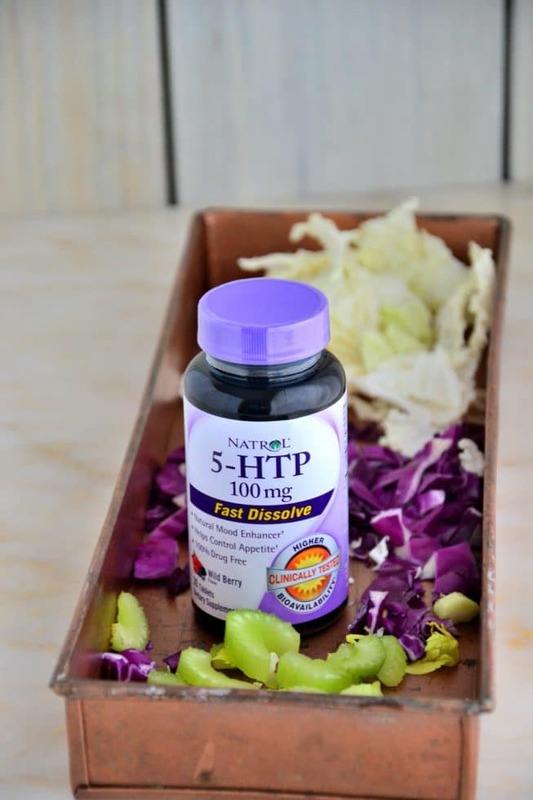 5-HTP (a.k.a. 5-Hydroxytryptophan) is a drug-free and naturally occurring plant-derived amino acid that participates in the body’s synthesis of serotonin, which is super helpful in boosting your mood without any stimulants or prescription drugs. 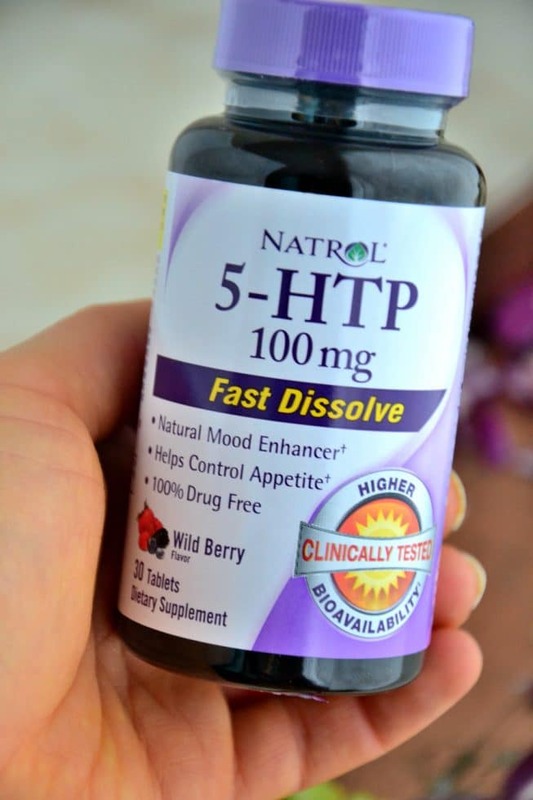 I took 5-HTP to help with my mood a few years back when I was feeling like I was getting swallowed up by my health issues. It totally helped and I noticed improvement in the way I felt within the first week. Magic? No sir. Just simple, natural real plant-based goodness. That’s what I like and that’s what I always stand by, which is why I’m sharing this with you today. 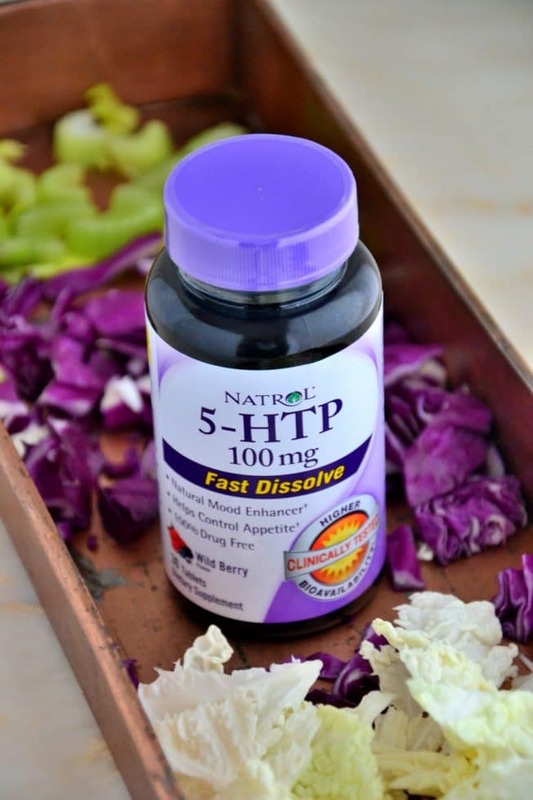 What I like about Natrol is their variety of offerings with 5-HTP such as fast dissolve, time release and capsules so they’re easy to swallow or dissolve in your mouth without having to worry about taking horse pill vitamins. I know what that’s like! Trust me. These Wild Berry fast dissolve supplements are super yummy and they don’t even feel like you’re taking a supplement. Totally a win-win here, folks! Here are a few facts about Natrol that I want to share with you because I get so many questions about supplements and these are often the questions I get asked so I thought I’d put together a few notes for all of you. Natrol products are available nationwide. To find a retailer near you, check out Natrol.com for more information. Breathe in and out of your nose. This is a HUGE step! You should not be breathing in or out of your mouth. Many of us don’t even breathe right and it leads to HUGE health issues. Just this one simple thing! Filter your water–try the Berkey filter. See information for the Berkey HERE. Get your circadian rhythms in check to balance your hormones and nervous system. Get to bed no later than 10:30 PM and wake up no later than 6:30 AM. 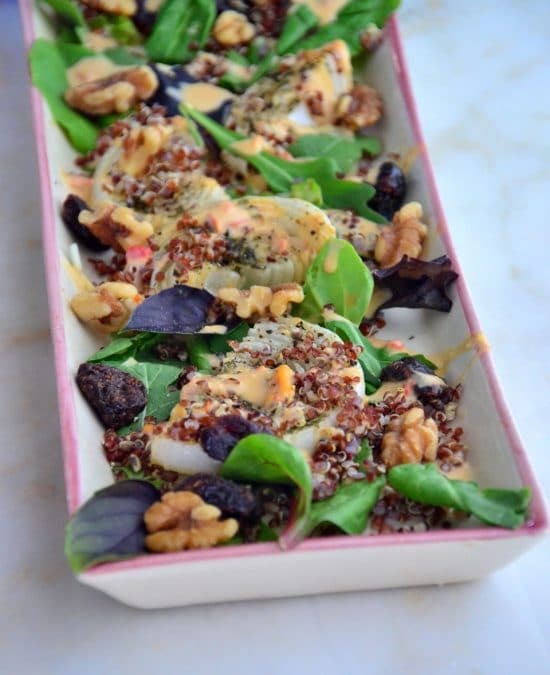 Eat whole, organic, nourishing foods for each of your meals and snacks. Gently move your body through walking, yoga and stretching to get your lymphatic system (which doesn’t have a pump like your heart) moving to flush out the waste! Your lymph system is where all your waste accumulates so you’ve got to get that moving to flush out the toxins you encounter daily through the air, food, water, bacteria, etc. Close your eyes and breathe for at least 5 minutes a day. You don’t have to meditate or call it meditation but just allow yourself to LET GO and be. This will help relax your body and activate your parasympathetic (relaxation) branch of your nervous system. Detox your home environment. This is key for optimal health so your nervous system isn’t overwhelmed by external toxins bombarding you on a daily basis. More info on the home detox HERE. And now for the latte recipe you’ve been waiting for. 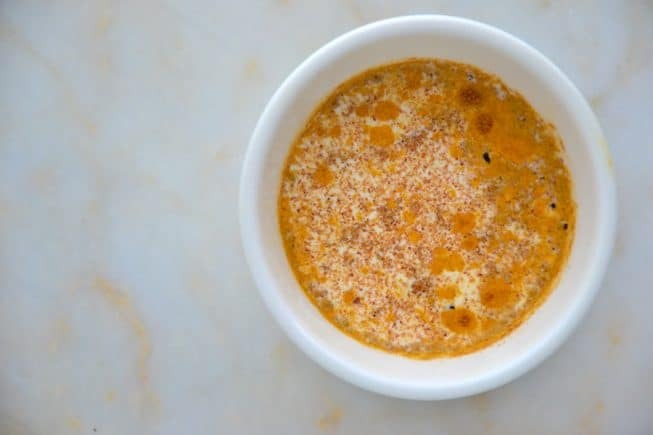 It’s super easy and can be ready in a jiffy so you can whip up this baby before work on a weekday morning or sip it slowly on a lazy Sunday. 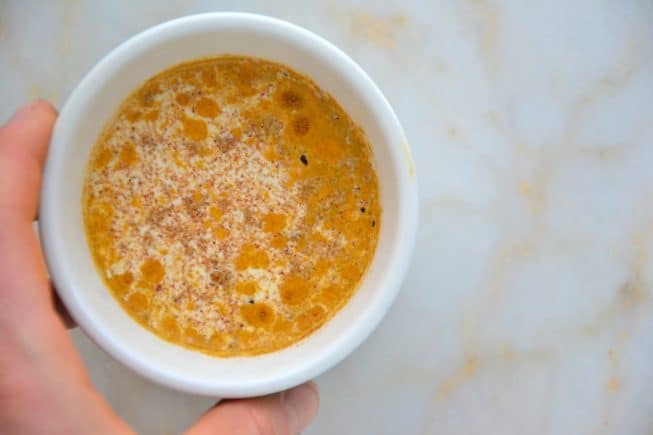 This is an anti-inflammatory recipe that’s ideal for helping to relax your nervous system and keep your body in the rest/relaxation parasympathetic mode instead of the fight/flight sympathetic nervous system mode. You’ll thank me after a few sips, I assure you. Warm the almond milk on the stove top over medium-low heat until it comes to a soft boil. Remove the saucepan from the stove top and transfer the almond milk to a mug. Add remaining ingredients and mix well to combine. Serve immediately. This post was sponsored by Natrol. All opinions are my own. †These statements have not been evaluated by the Food and Drug Administration. This product is not intended to diagnose, treat, cure or prevent any diseases Based on ^Nielsen Data, 52-weeks ending 6/18/16.